Glover’s Reef and Mayan Caves combines an inland exploration of Mayan ruins and rainforest caves with the opportunity to explore and stay on a remote coral atoll. 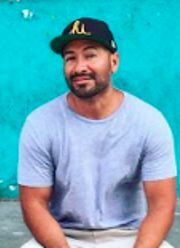 Glover’s Reef is part of the world famous Belize Barrier Reef, a protected marine park and designated world heritage site thirty-six miles off the shore of mainland Belize. Perfect for active families and couples of mixed abilities, this adventure Basecamp offers flexibility and choices in daily guided activities, so traveling companions can do things together or separately. 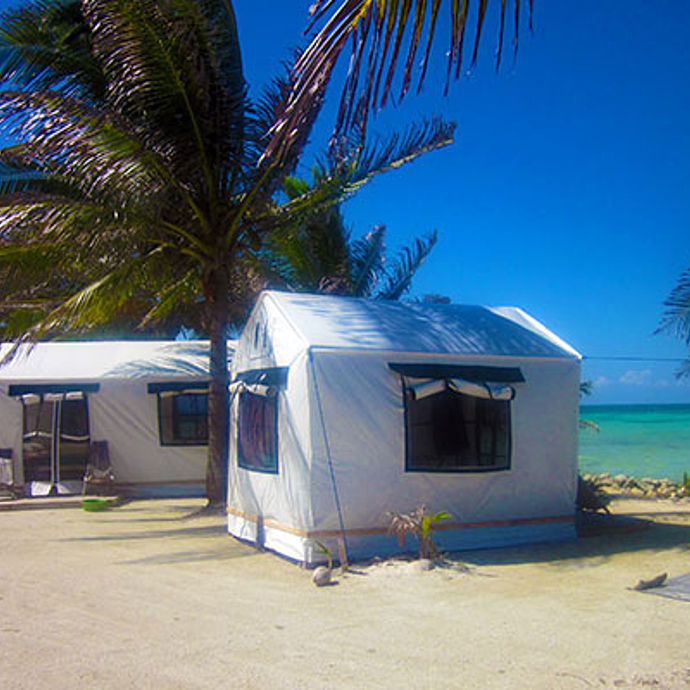 Stay at a unique, Adventure Basecamp on Southwest Caye, a remote 13 acre island. 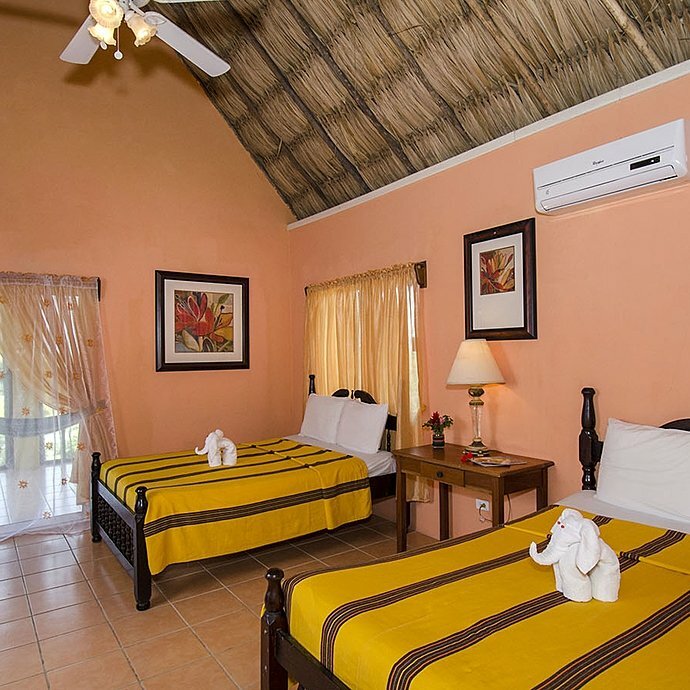 Sleep in comfortable tent-walled cabanas and dine on fresh seafood, tropical fruit and local fare. Kayak or SUP around this pristine group of tropical islands set within a turquoise lagoon. Snorkel some of Glover’s 700 patch reefs in its thriving coral reef system. Fly fish for bonefish or tarpon on the saltwater flats and adjoining deep waters. 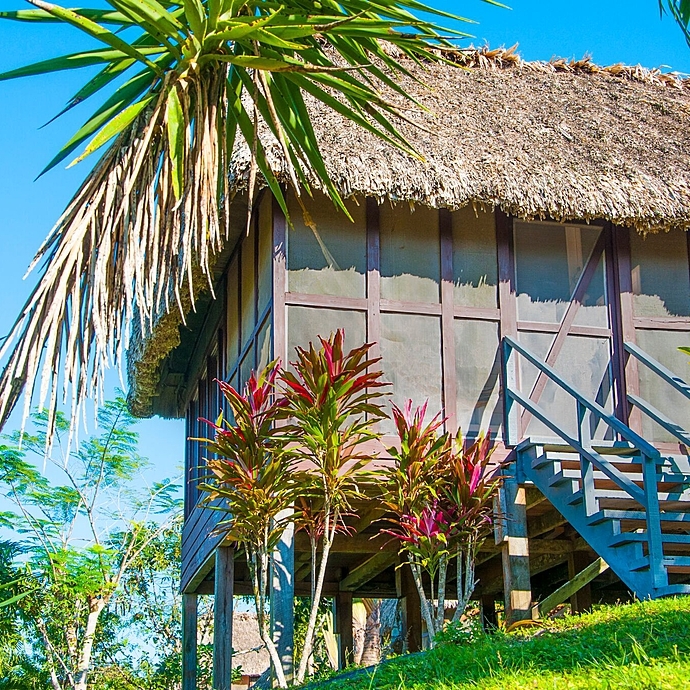 Venture inland for a Mayan ruin and cave exploration through lush rainforest. 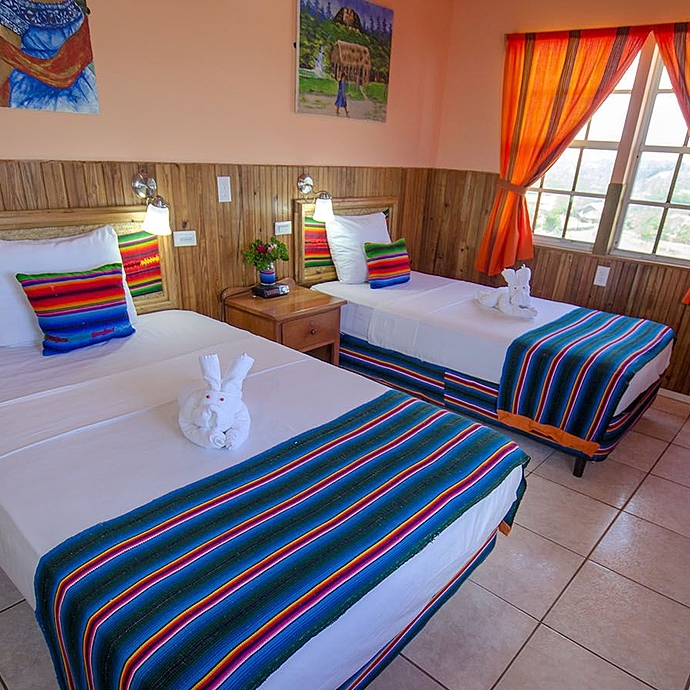 Arrive at the Belize International Airport, where you will be met and transferred to Cahal Pech Village Resort - a picturesque lodge carved out of the land with a grand vista overlooking the town of San Ignacio and the rolling hills of the Cayo District in Western Belize. This is an ideal starting point for the adventure that awaits. 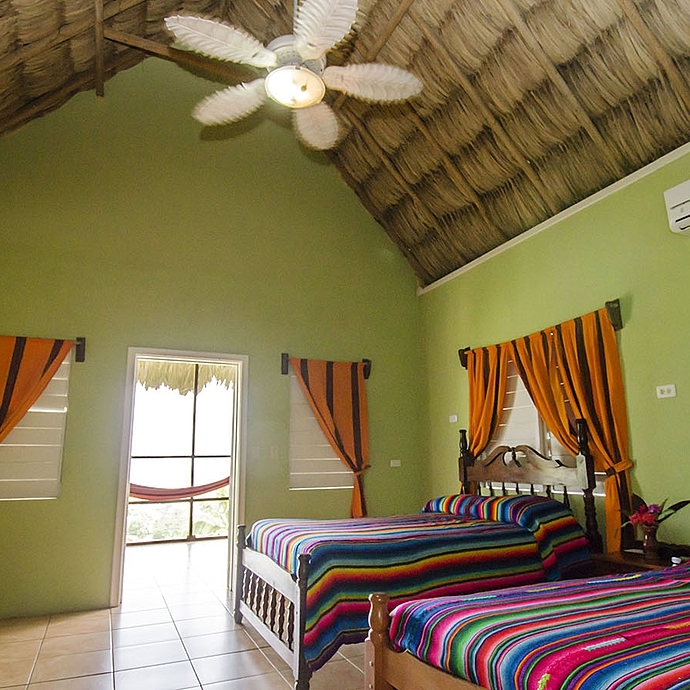 This is the day to get in tune with the rhythms of Belize and acclimatize to your new tropical environment. Transfers from the airport, lodging and dinner are included. You’ll depart early in the morning and drive the scenic Hummingbird Highway through the Rainforest to the coastal town of Dangriga. Here you board a charter boat to our remote Basecamp on Southwest Caye which is located in the Glover’s Reef Marine Reserve. 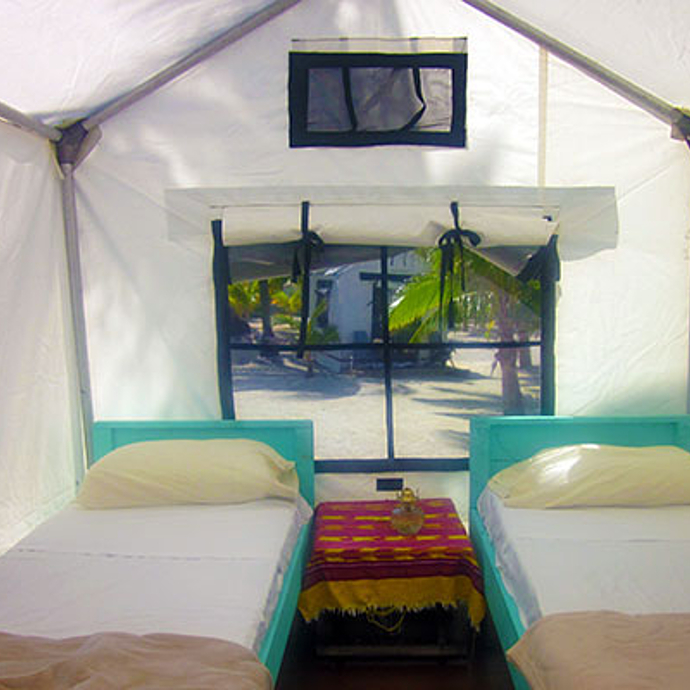 Upon arrival, you’ll receive an introduction to your new environment before settling into your ocean view tent cabana. Our guides will then conduct professional instruction to teach you the fundamentals of sea kayaking, snorkeling, and tropical water safety. After training, enjoy a paddle to a nearby patch reef and start exploring some of the 700 snorkel sites Glover’s Reef Atoll has to offer. Glover’s Reef is one of the most spectacular marine environments in Belize and offers the best kayaking, snorkeling, and diving in the Caribbean. Due to its isolation from the mainland, the waters are exceptionally clear with a rich reef ecosystem.